Mary Jane Huarache by Brother Vellies. 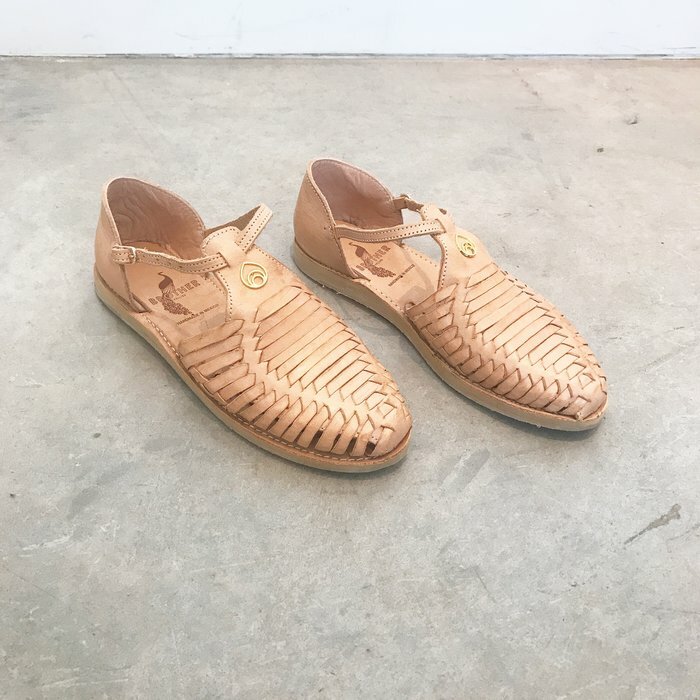 Handwoven braided leather sandal made in Michoacán, México. The name 'huarache' comes from 'kwarachi' in the Purépecha language spoken in the highlands of Michoacán. Huaraches run a half size large.